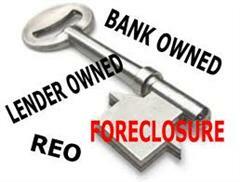 Real estate owned or REO is a class of property owned by a lender—typically a bank, government agency, or government loan insurer—after an unsuccessful sale at a foreclosure auction. Bank REO properties are generally in poor condition and need repairs and maintenance, both to satisfy property upkeep laws and to preserve and prepare the property for sale. Maintenance is generally the responsibility of the mortgage servicer and often requires the services of specialized property preservation company such as AARCO REO Services. Our routine property preservation services include: securing a property (changing locks, boarding up), debris removal, property maintenance (winterizing, cutting grass, repairing or tarping roof leaks, pumping out basements), and rehabilitation. Upon inspection of the property we can advise what services are needed to make the property more marketable. We specialize in all forms of commercial and post-foreclosure residential inspections, and beyond. Choose from our existing suite of product offerings, or let us design a solution for you. We provide a suite of offerings to ensure that vacant and abandoned properties are secure and protected . We will monitor property via periodic inspections until a sale has been secured. We understand the importance of getting a property into sellable condition and keeping it that way. That is why our property preservation services are vital--we provide the preservation, maintenance, and repair activities needed to allow you to sell you properties faster, at top dollar. Put AARCO REO Services to work for you!